From world-famous landmarks to underground art hubs, New York City offers a smorgasbord of amazing experiences. 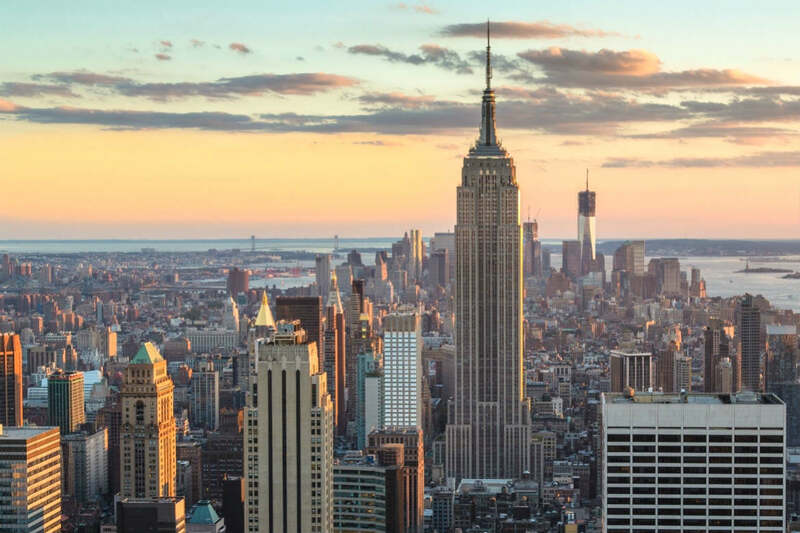 Whether you’re visiting for the first or fiftieth time, make sure you check these 10 quintessentially ‘New York’ activities off your bucket list! 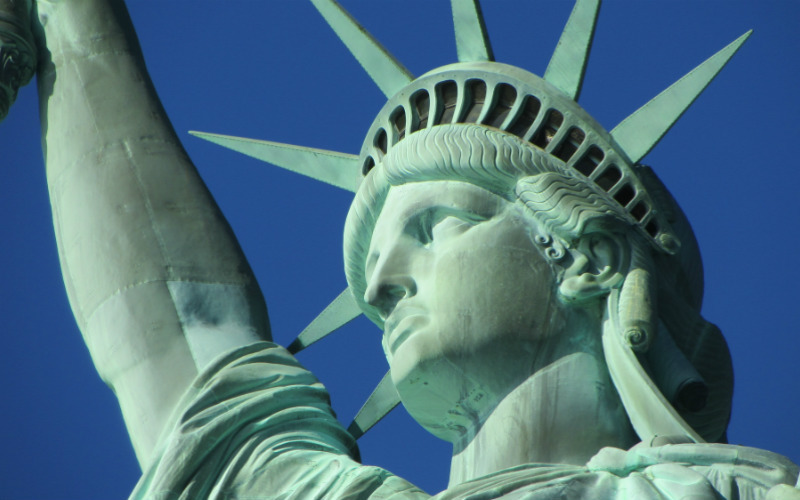 New York boasts more than its fair share of landmarks, but perhaps the most iconic of these is the Statue of Liberty and the surrounding cityscape. Although visitors can travel to Liberty Island to get up close or even inside this structure, the best photos of Lady Liberty won’t cost you a dime. Instead, simply cross New York Harbor on the Staten Island Ferry to enjoy phenomenal views of the Statue of Liberty, Ellis Island, and the Lower Manhattan skyline. This 25-minute ferry ride is considered one of the city’s best free activities, and is available 24 hours a day, seven days a week. Grab a front-row spot in the early morning to capture some incredible photos of New York’s most famous icon. The Statue of Liberty, New York, United States of America. New York is a city that wears its heart on the streets. As such, there are few better ways to feel its pulse than by joining a walking tour of the city. There are dozens of tour operators to choose from, with options ranging from one-hour tours to full-day experiences. With everything from history and heritage tours to photography tours, food tours, and art, music and cultural tours, you can also choose an itinerary that suits your personal interests. Many of these guided tours are run by local volunteers, who offer their time and their knowledge of the city’s neighbourhoods completely free of charge. Of course you’re always free to show your appreciation with a tip, so put on your walking shoes and let a New York local show you around one of the world’s most fascinating cities. New York streets, New York, United States of America. Image Credit: Juan Luis / CC by SA 2.0. 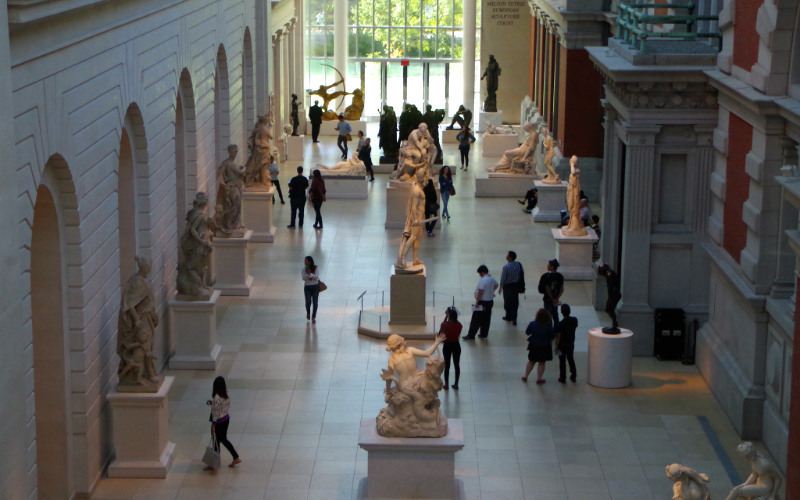 Since 1872, the Metropolitan Museum of Art has stood as a cultural epicentre of New York City. With a permanent collection of more than 2 million items spread across 17 departments, the Met contains more treasures than you could possibly see in one visit. Wander through the museum’s labyrinthine corridors and discover an incredible assortment of artworks spanning 5,000 years of history. Move from ancient Egyptian artefacts to contemporary Islamic art, and marvel at the exotic array of costumes, ancient musical instruments, and antique weaponry and armour. Whether it’s walking through a period room from 1st-century Rome, or gazing upon marble masterpieces from the Renaissance, there are unforgettable experiences waiting around every corner of America’s largest art museum. Metropolitan Museum of Art, New York, United States of America. Image Credit: Mike Steele / CC by 2.0. Perhaps the most famous urban park in the world, Central Park encompasses almost 350 hectares of manicured gardens, waterways, meadows and tree-lined footpaths in the heart of New York City. 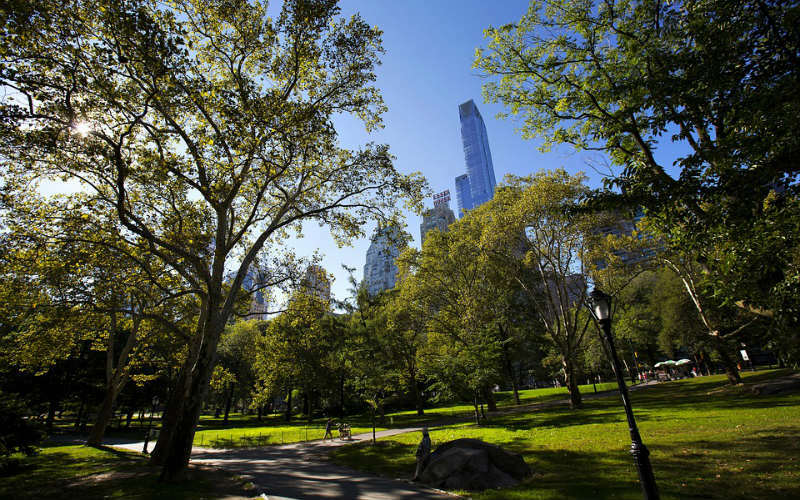 Although tourists tend to stick to the southern section between 59th and 72nd Street, Central Park is much larger than many people think; in fact, it would take around 20 hours to walk the 93-kilometre network of pathways criss-crossing its terrain. On any given day, you can find joggers, sunbathers, musicians and performers flitting between the gardens, fountains, bridges, playgrounds and sculptures of Central Park. Offering ice-skating, public concerts, swimming, rock climbing and more, it’s no wonder Central Park is one of New York’s most beloved places. Central Park, New York, United States of America. With 40+ Broadway theatres dotted around the bright lights of Times Square, few cities scream showbiz louder than New York. From Shakespearean plays to big-budget musicals, you’ll find a dizzying assortment of world-class entertainment to choose from. While tickets to popular shows should be bought in advance, those feeling spontaneous can also stop by the TKTS booth in Times Square to score same-day tickets at a tidy discount. Alternatively, enjoy a night of topical entertainment at a stand-up comedy show. From the eclectic performers at The Comedy Cellar and UBC Theatre to the bigtime headliners at Gotham Comedy Club and Carolines on Broadway, New York has something for every sense of humour. Discover some of the most exciting new names in comedy, or let some of the all-time greats show you how it’s done. 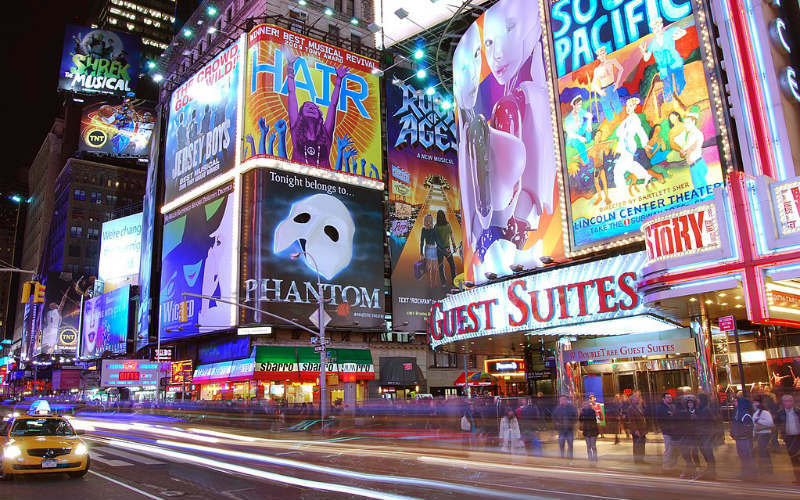 Broadway billboards in Time Square, New York, United States of America. Image Credit: Matt H Wade / CC by SA 3.0. Public libraries are often a reflection of the cities they belong to, and few public libraries are as large or as grand as the New York Public Library. This stunning example of Beaux-Arts architecture is over 100 years old and, with over 18 million visitors per year, is easily the most visited library in the world. Its iconic Rose Main Reading Room is 90 metres long and features a spectacular canopy of chandeliers and gilded carvings. Head to Astor Hall to join a free guided tour of the library, or simply collect a free audio guide and wander its bookshelves and corridors at your own pace. 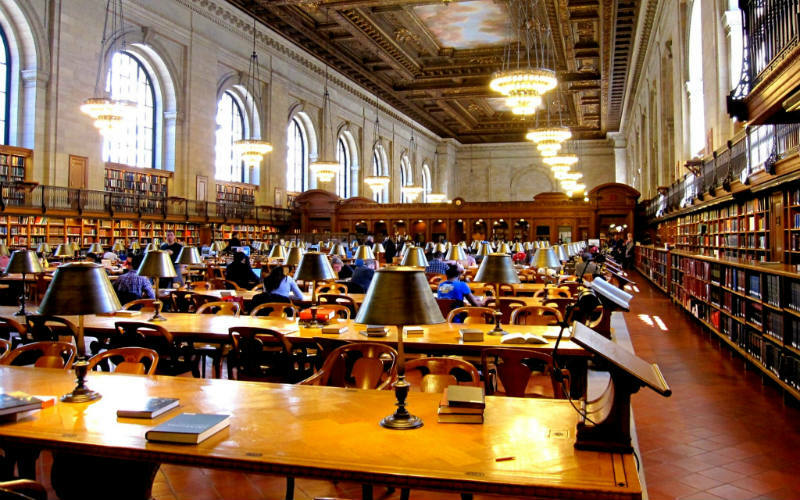 Alternatively, do what countless academics, political figures and even fictional characters have done: pull up a chair, and immerse yourself in the history and hush of New York Public Library. The New York Public Library, New York, United States of America. Image Credit: Travis Wise / CC by 2.0. 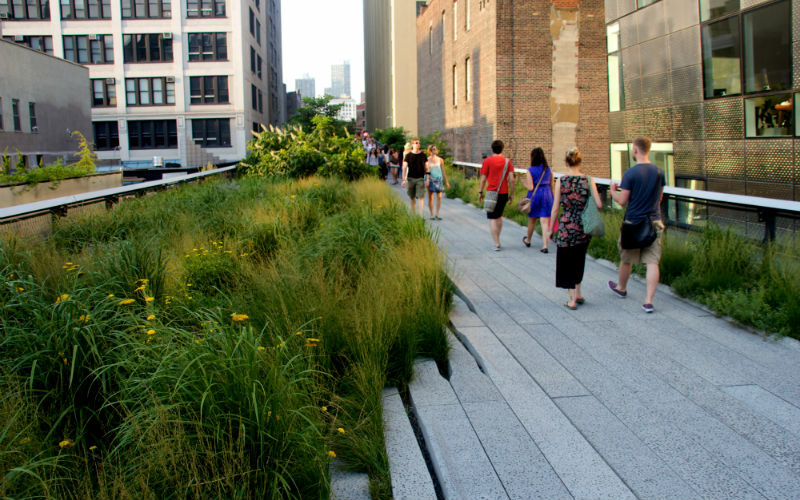 The High Line is a striking example of New York’s innovative flair. In 2014, the city managed to transform a disused railway track into an award-winning ‘walking park’ complete with flowers, benches, picnic tables and art installations. Perched 10 metres above street level, the High Line stretches more than two kilometres from the Meatpacking District to Hell’s Kitchen. Follow the park’s curving walkways to enjoy stunning views of the Hudson River, the Manhattan skyline, and the teeming streets of the city below. The High Line, New York, United States of America. Image Credit: Mike Peel / CC by SA 4.0. Chelsea is a colourful neighbourhood known for its diverse population and thriving art scene. 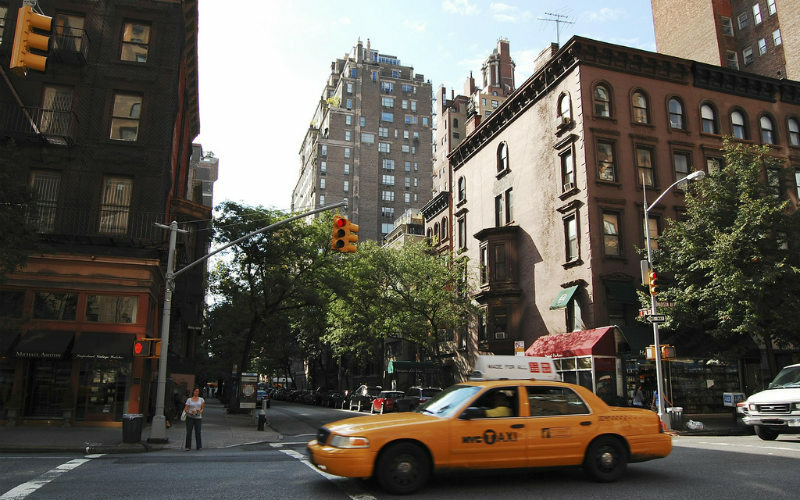 In fact, the area between 10th and 11th Avenues, from 16th Street to 28th Street, is home to more than 200 art galleries. Offering free entry, the art galleries of West Chelsea allow visitors to view a wide range of contemporary artwork from both established and emerging artists. What’s more, many galleries throw opening receptions for their artiste du jour on Thursday nights, complete with complimentary wine and nibbles. Join the droves of artists, art aficionados and industry bigwigs as they gather for Chelsea Gallery Night, hopping from abstract and experimental to avant-garde and beyond. 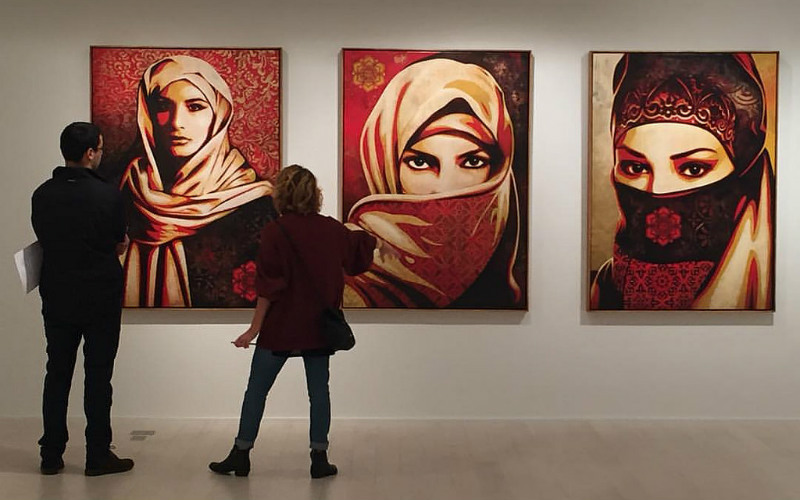 An art exhibition in Chelsea, New York, United States of America. Image Credit: Powell Burns / CC by 2.0. Head to the National 9/11 Memorial & Museum to learn more about the most pivotal event to shape 21st-century America. Built into the bedrock below the World Trade Centre, this eye-opening museum highlights the events leading up to September 11, as well as the aftermath, with a collection of photos, artefacts, videos, and interactive displays. 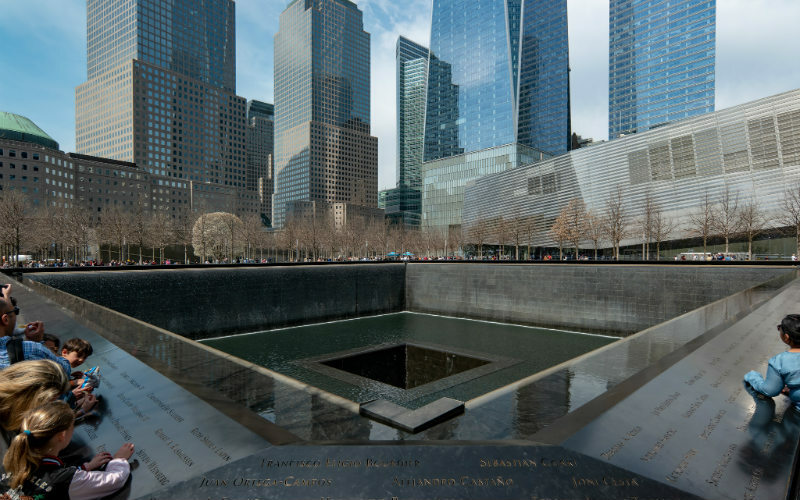 Opening on September 11, 2011, the 9/11 Memorial features two reflecting pools constructed within the footprints where the Twin Towers once stood. This beautiful memorial features the largest manmade waterfalls in North America, and displays the names of every life lost in the 1993 and 2001 attacks. National 9/11 Memorial and Museum, New York, United States. Image Credit: paul.wasneski. As one of the most diverse cities in the world, New York is home to a food scene unlike any other. Since the sheer number of culinary options can seem overwhelming, the best approach is to take a neighbourhood-by-neighbourhood tour of the city. Those looking for Little Italy should bypass Manhattan’s offering and head straight to Belmont, in the Bronx, where authentic Italian flavours dominate the shopfronts lining Arthur Avenue. 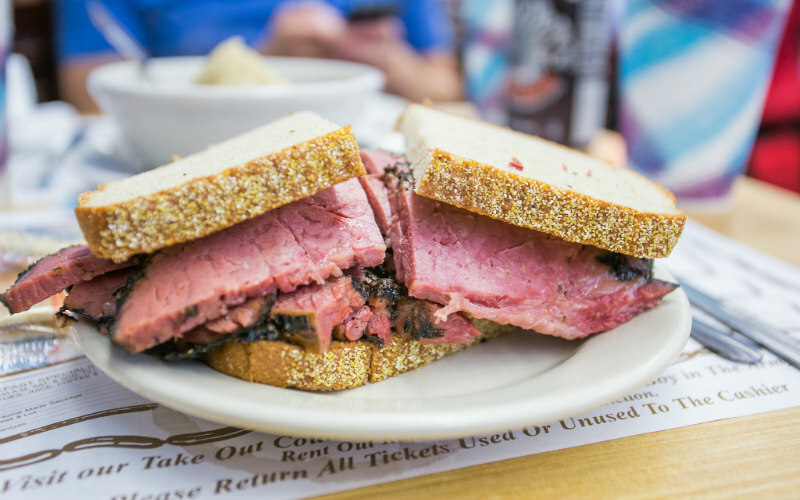 Head to the Lower East Side and sink your teeth into a classic Reuben sandwich, grab your credit card and put the hyped-up restaurants of Williamsburg to the test, and sample some of the best Chinese food in the world inside the bustling eateries of downtown Flushing. Pastrami sandwich, Katz’s Deli, New York, United States of America. Image Credit: City Foodsters / CC by 2.0. Ready to get swept up by New York? Book cheap flights to New York with Webjet today! Feature Image Credit: Sam Valadi / CC by 2.0. © 2018 Webjet Limited - All Rights Reserved.